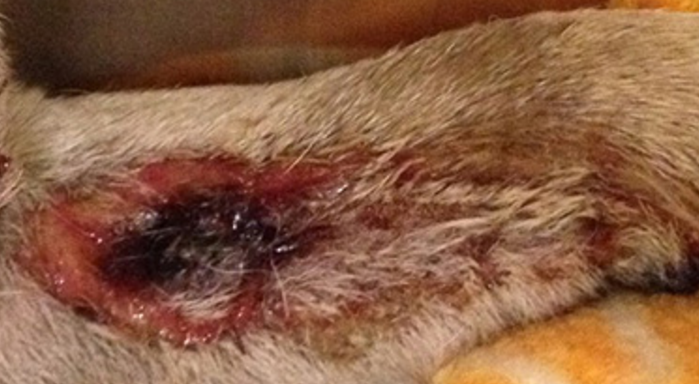 If your dog gets skin lesions or other symptoms consult your vet, without delay. “Unexplained redness, sores or swelling of the skin (on the paws, legs, body, face, tongue or mouth) are often the first sign of this disease.” (AMVS, Feb 2016) After five years, we still don’t know what causes Alabama Rot. From analysis by AlabamaRot.co.uk, we do know that 90% of confirmed cases have been in the six months during Winter and Spring (December – May). Information about Alabama Rot / CRGV for dog owners from Anderson Moores Veterinary Specialists (AMVS). 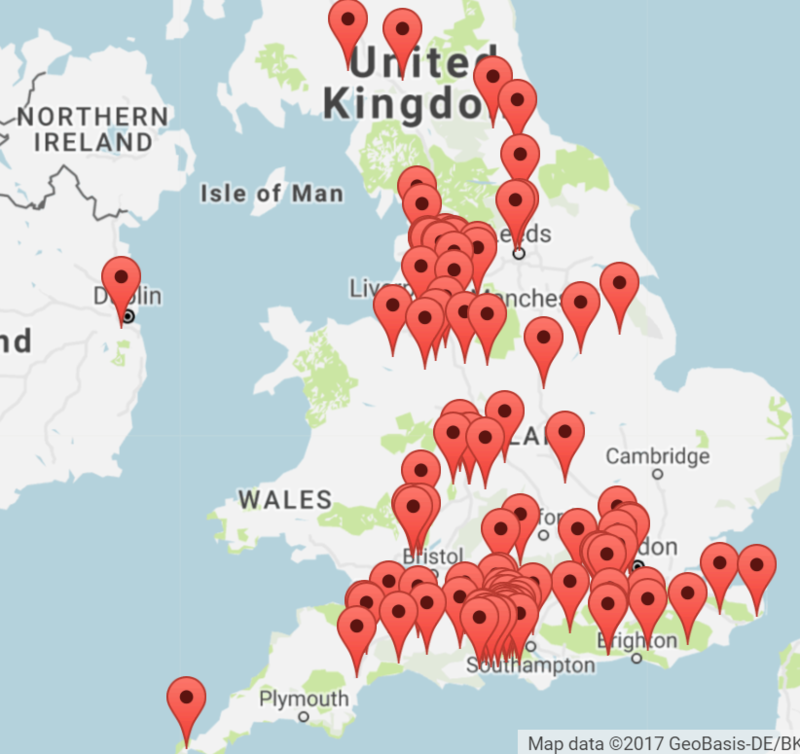 AlabamaRot.co.uk has logged all confirmed cases and all suspected cases on two maps. 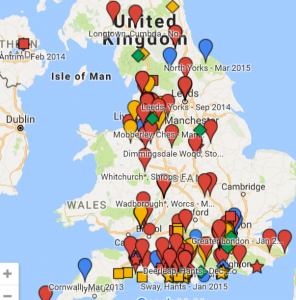 These maps have been viewed over 250,000 times since November 2012. 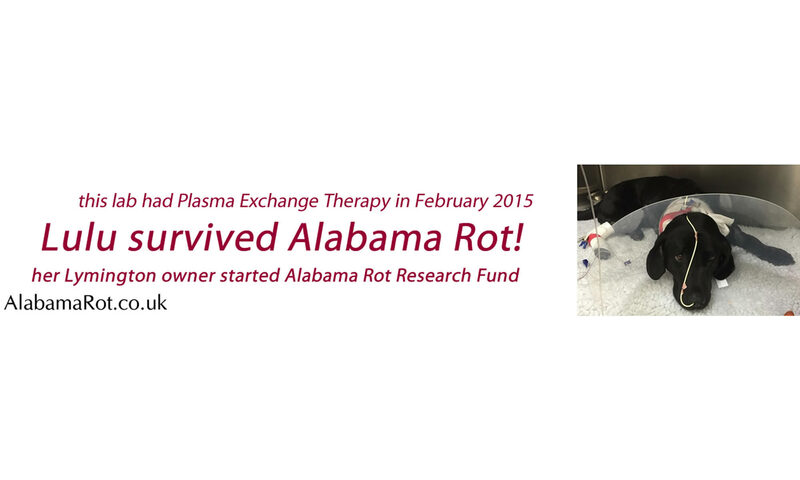 If you suspect Alabama Rot don’t delay visiting your vet! Your vet should read this info from AMVS. AlabamaRot.co.uk suggests your vet might consider referring your dog to AMVS – they have probably the best record of successfully treating Alabama Rot cases (the vast majority of vets have never treated any dogs for the disease). 5-minute review of Alabama Rot by a vet. Hi, a dog has died of alabama rot recently and is reported as having being always walked on Trinity hill axminster which is where I live with my dogs. Could you advise me please as to how long to avoid walking my dogs in that area? is it in the soil? will it be washed away by rain? is it in plants or bushes? Will it always be in that enviroment? any information you could give me would be most useful please as I do live in Trinity Hill and it is my dog walking zone. All great questions, however, we don’t know what causes Alabama Rot so I can’t give any answers to your questions. I suggest you read this post with the links and video – click here. Previous PostPrevious Stop Alabama Rot. Donate to ARRF charity.